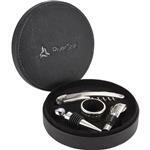 Need a quality wine opener and foil cutter in a great wine gift set? This is one of our best sellers. 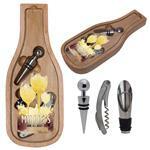 Includes wine opener and foil cutter. 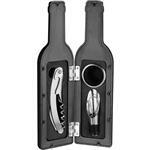 Ergonomically designed handles and lever allow for one-step wine opening.